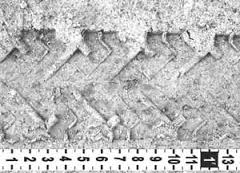 Tire track impressions leave behind a unique pattern, therefore are classified as pattern evidence. Just like shoe impressions can help narrow down the brand, style and size, tire tracks have the ability to do the same thing. 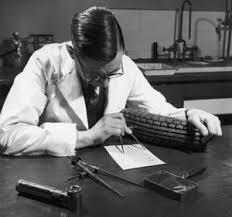 The type of evidence left behind depends upon the type of surface traveled. A tire can leave an impression in loose sand or snow, but will leave an imprint on a hard surface such as concrete. There are three types of prints: visible – able to be seen by the naked eye and collected by photography; plastic – three-dimensional and collected by making a cast; and latent – prints not visible to the naked eye. In modern times, latent prints are collected through the use of electrostatic lifter dust. Once impressions or imprints are collected at the crime scene, experts compare the evidence to a suspect’s shoe or vehicle tire to determine if the item is the same one that left the impression. The reason this works is that as shoes and tires are used, their physical features change over time. For example, a tire out of alignment will create a tire that is heavily worn along one edge. An example of the use of tire impressions as evidence is in the recent case of former Patriots tight end Aaron Hernandez. Four stones wedged in the tread of the rear passenger-side tire on a vehicle rented to Hernandez enabled investigators match it to the tire tracks left at the scene of the crime. A miniscule yet crucial piece of evidence.